The 3D, CG-animated family comedy “Arthur Christmas,” an Aardman production for Sony Pictures Animation, at last reveals the incredible, never-before-seen answer to every child's question: “So how does Santa deliver all those presents in one night?” The answer: Santa's exhilarating, ultra-high-tech operation hidden beneath the North Pole. But at the heart of the film is a story with the ingredients of a Christmas classic – a family in a state of comic dysfunction and an unlikely hero: Santa’s youngest son, Arthur. When this amazing operation misses one child out of hundreds of millions, the least capable Claus embarks on a hilarious, exciting rogue mission against the clock to deliver the last present before Christmas morning dawns. The film also stars Hugh Laurie, Jim Broadbent, Bill Nighy, Imelda Staunton, and Ashley Jensen. Directed by Sarah Smith. Produced by Peter Lord, David Sproxton, Carla Shelley and Steve Pegram. Written by Peter Baynham & Sarah Smith. Co-Producers are Chris Juen and Peter Baynham. Co-Director is Barry Cook. 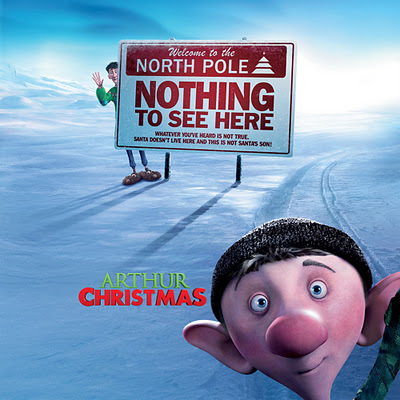 Opening across the Philippines in December, “Arthur Christmas” is distributed by Columbia Pictures, local office of Sony Pictures Releasing International. Visit www.sonypictures.com.ph to see the latest trailers, get free downloads and play free movie games.